Miss Zoe established Miss Zoe’s School of Dance in late 2006 and currently teaches most of the weekly classes. Miss Zoe has danced for the past 27 years and has experience in a variety of styles ranging from ballet to hip hop. She has been teaching for the past 19 years and has experience in all styles but specialises in ballet, jazz, contemporary, and hip hop. Miss Zoe has taught dance to people of all ages and abilities as well as to intellectually and physically disabled people for the House With No Steps. Miss Zoe is also a passionate advocate for all things health & fitness & is excited to bring Fitness classes for all ages as of 2017. She is also currently writing a health food cook book! Before opening Miss Zoe’s School of Dance, Miss Zoe taught at Vincentia School of Dance 2001-2003; Vincentia Public School, NSW, 2002-2004; Jervis Bay Public School, NSW, 2002 (Wakakiri Performance); and the University of Wollongong Dance Club 2004-2006. Miss Zoe also held executive positions in the University of Wollongong Dance Club in 2004/05. Miss Zoe completed HSC Dance in 2003 as well as performances for the HSC Dance CD-ROM for students in 2004. Vincentia High School’s Excellence in the Arts Award was won by Miss Zoe in 2001 and 2003 for her contribution to dance within the school. Miss Zoe has attended numerous dance camps and workshops over the years; as well as performing in eisteddfods, half-time entertainment for the Wollongong Hawks, Southern Stars, Dance Festivals, and more. In 2009 Miss Zoe was nominated for a Top Gong Award for her work in the performance industry and encouraging success in young girls. 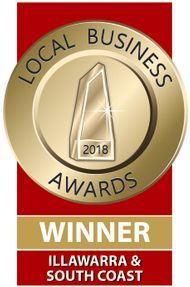 In 2018 Miss Zoe has been selected as a Finalist in the Most Outstanding Business Person of the Year category at the Illawarra & South Coast Local Business Awards. The dance school has also been nominated as a Finalist in the business category this year and in 2017. Miss Zoe has her current First Aid Certificate and worked for years as a preschool teacher and hockey coach. Miss Zoe has completed a Bachelor of Psychology (Honours) at the University of Wollongong and a Bachelor of Teaching (Primary) at the University of New England. Under Miss Zoe's guidance her students have successfully auditioned for Wollongong Highschool of the Performing Arts, competed in local eisteddfods and competitions, performed at a variety of fetes, festivals, and community events, and enjoyed 11 successful end of year concert days. Miss Zoe's focus is on fun, fitness, and inclusion of all ages, body types, and abilities - no pressure is put on students and everyone has an equal opportunity to perform. Miss Zoe loves what she does and feels privileged to teach you and your children. Miss Madison has been dancing on the South Coast for 16 years across almost every style. In 2017 she moved to Wollongong and became a student at Miss Zoe’s School of Dance. Miss Madison quickly proved to be a lovely dancer and was keen to help out when needed. 2018 saw Miss Madison join the teaching team at Miss Zoe’s whilst completing a Certificate IV in Dance Teaching and Management at Ettingshausen’s in Sydney. She successfully completed this course and in 2019 will be the Head Teacher at our new Coledale Studio along with teaching across our Wollongong and Kiama Studios. Miss Madison has experience teaching a variety of styles – ballet, jazz, hip hop, tumbling, contemporary, & tap. Her favourite style of dance is lyrical and she is looking forward to sharing her love of dance with all of her students! Miss Amy joined Miss Zoe’s School of Dance in 2007 (although she has danced with Miss Zoe for all of her life!) and has not only danced at a consistently high level, but has also always helped out with book-keeping, make-up, performances, rehearsals, etc. In 2008 she was awarded Miss Zoe’s School of Dance Student of the Year. Miss Amy has been dancing for the past 24 years and has experience in the styles of: Ballet, Pointe, Modern, Modern Expressive, Jazz, Contemporary, and Hip Hop. Miss Amy has been teaching at Miss Zoe's for the last 10 years in the styles of Ballet, Hip Hop, Jazz, and Contemporary (all ages); as well experience with teaching people with disabilities. Miss Amy teaches private lessons and Pre-Sr Contemporary for Miss Zoe’s School of Dance. Miss Amy completed HSC Dance in 2007 and won Vincentia High School’s Excellence in the Arts Award in the same year for her contribution to dance and art within the school. Miss Amy has performed with great success in eisteddfods, Southern Stars, Dance Festivals, school ceremonies, and dance performances for both Miss Zoe’s School of Dance and Vincentia School of Dance. Miss Amy is also a practising artist and has a Bachelor of Creative Arts (Visual Arts), University of Wollongong. In 2011 she was the Wollongong Youth centre's Artist in Residence. Miss Amy works as a youth worker and has her current First Aid Certificate. Miss Chelsea joined Miss Zoe’s School of Dance in 2009 and has experience in the styles of Jazz, Hip Hop, Ballet, Pointe, Acrobatics, and Contemporary. Miss Chelsea has always been a dedicated member of Miss Zoe’s, attending numerous performances over the years. She has also won a number of trophies at Miss Zoe’s. 2012 was a fantastic year for her, competing in eisteddfods and performing in many fetes. She grew in ability and confidence and this earned her the Most Improved award for 2012. This dedication has continued and she had great success in her first three years of teaching at Miss Zoe’s. 2015 was another great year for Miss Chelsea – it saw her grow in her teaching ability, so much so that she won the 2015 Miss Zoe’s School of Dance Teacher of the Year! In 2016 Miss Chelsea started teaching private lessons and in 2017 she continued to teach private lessons as well as taking on Intermediate Hip Hop (B). Miss Chelsea is a very talented dancer, teacher, and choreographer. All of her student adore her and she is a great example of what Miss Zoe’s is all about! Miss Chelsea also performed at a high level in dance at Keira Highschool and is a very mature, responsible member of the Miss Zoe’s team. In 2019 Miss Chelsea will be at all 3 of our studios and will be taking on a larger role within the dance school. 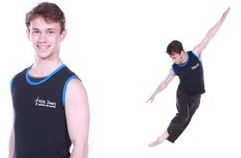 Brendan Cooper joined Miss Zoe's School of Dance in 2012 as a student teacher for tap classes and from there has taught a variety of classes at Miss Zoe’s from jazz/hip hop, to fitness, to private lessons. He previously trained at a number of studios for 16 years covering various styles of dance such as Jazz, Ballet, Contemporary, Acrobatics and found his niche in Tap. Having competed in both local and national eisteddfods since the age of 5, Brendan has a great amount of experience to offer. He was also very successful at these eisteddfods having achieved a large number of 1st place awards in Wollongong and Sydney and was awarded 2nd place in the Dancer of the Year at the Showcase National Dance Championships. At the age of 12, Brendan was approached by Tap Dogs choreographer/founder Dein Perry and was invited to attend their advanced adult classes. Brendan has also choreographed and assisted in teaching others ranging from beginners to more experienced tappers. For more than 2 years during high school, Brendan choreographed routines at The Illawarra Grammar School for the senior boys tap troupe. The routines were performed at various school events for charity. Brendan has also taught various levels of the Glenn Wood Tap Syllabus, having completed the final level of the syllabus himself. Brendan’s students love his enthusiastic, fast-paced teaching style and everyone loves seeing him perform himself! In 2019 Brendan will be teaching a variety of classes across the two studios. Brendan has a Bachelor of Arts in Psychology from the University of Wollongong. Miss Mackenzie (Kenz) has been dancing at Miss Zoe’s School of Dance since 2009 and came to us already with experience under her belt. Miss Kenz has experience in ballet, pointe, jazz, hip hop, and contemporary and is a graceful, effortless dancer. Miss Kenz has won numerous trophies at Miss Zoe’s over the years and attended Wollongong Highschool of the Performing Arts, where she has excelled with both dancing and choreographing – so much so that at a young age she was asked to choreograph for and teach students older than her! 2015 saw Miss Kenz join the Miss Zoe’s teaching team and Miss Zoe has not seen anyone take to teaching as easily as her. Straight away Miss Kenz was able to teach warm ups and techniques on her own and showed great confidence. The younger Miss Zoe’s students absolutely love her and she is a great role model for all! In 2016 Miss Kenz taught private lessons to younger students, a Tiny Dancer Combo Class, as well as assisting with the Junior Jazz/Hip Hop (B) class, and filling in whenever necessary in other classes – her choreography, teaching style, and dedicated to Miss Zoe’s was amazing and this earnt her the 2016 Teacher of the Year! 2017 saw Miss Kenz continuing with her private lesson teaching as well as Intermediate Contemporary A. During this time she achieved full marks in many components of her HSC Dance Major Works! In 2019 Miss Kenz will be teaching at both our Wollongong & Kiama Studios! Miss Mia D. started dancing at Miss Zoe’s School of Dance in 2006 – she was one of our original students! Miss Mia has experience in Ballet, Pointe, Jazz, Hip Hop, Acrobatics, and Contemporary and is skilled at all. Miss Mia has won many awards over the years. Miss Mia is a dedicated member of Miss Zoe’s and we were thrilled to have her begin her student teaching in 2013. This year she will be assisting Miss Zoe in Junior Ballet (A) and is sure to be a hit with the younger children again! In 2016 Miss Mia started her class choreography with Junior Ballet (A) and thrived! Her confidence grew with both teaching and choreography. 2016 also saw her begin teaching private lessons and taking on the music editing for the dance school. Miss Mia D attends Wollongong Highschool of the Performing Arts where she does extremely well. 2019 will see Miss Mia continue with teaching private lessons, younger classes, editing our dance school music, doing admin & assisting with birthday parties. Miss Molly started dancing at Miss Zoe's in 2012 and has always tried her hardest in all aspects of the dance school. Miss Molly is a very keen dancer and goes to Wollongong Highschool of the Performing Arts - she never stops practicing! She had a fantastic year there in 2016 & 2017, being selected to perform a solo at their annual end of year Showcase. In 2015 Miss Molly volunteered her time on numerous occasions and was always happy to help out wherever needed. That is why in 2016 she continued with her admin responsibilities as well as helping with the Saturday Preschool Fun Class. 2017 saw Miss Molly teaching the Saturday Preschool Fun Class as well as private lessons. She is a very talented choreographer and all students seem to really take to her and her kind nature! She will be continuing with this in 2019. Miss Caitlin has a number of years experience in dance, with a strong background in tap, as well as participation in jazz, hip hop, and contemporary. Over the years she has taken part in a number of performances including competing in eisteddfods with both solo and troupe dances. Miss Caitlin joined Miss Zoe’s School of Dance in 2014, continuing her tap training. In 2017 she taught all tap classes at the studios and Miss Zoe was very excited to have her on board – her students caught her enthusiasm for tap as well as her lovely smile while performing! She will be continuing to teach tap along with a Tiny Dancer Combo Class and most classes on Saturdays in 2019. Miss Caitlin possesses a Certificate III in Early Childhood Education and Care, and works locally at a day care. She also holds a current First Aid Certificate. Miss Lauren began dancing at the age of three learning ballet at a local school. She loved taking dance classes and continued to learn different styles. Miss Lauren has experience in ballet, contemporary, modern, tap, jazz and hip hop. She has competed at a number of eisteddfods and competitions over the years in group, duo and solo performances. Miss Lauren has experience teaching classes in ballet and contemporary from preschoolers up to students in their mid teens. Miss Lauren joined Miss Zoe’s in 2012 and currently takes contemporary, ballet and pointe classes. Miss Lauren has always been a dedicated and talented student and Miss Zoe was happy to have her begin her teaching in 2015! She is such an addition to our team and always helps with everything without needing to be asked - a pleasure to have on board! Miss Lauren will be teaching the acrobatics classes again in 2019 with an extensive knowledge of acrobatics and aerial skills behind her - she continues to take classes herself on a weekly basis. Miss Lauren also has a Bachelor of Psychology and works locally. Miss Han was one of Miss Zoe’s original students! She started in 2006 and has never missed a beat at Miss Zoe’s – her attendance is impeccable & she is extremely dedicated. She has experience in ballet, pointe, contemporary, hip hop, and jazz. Miss Han was a member of the Costume Club and in 2017 commenced her student teaching. Miss Han did student teaching with Junior Jazz (A) & Junior Hip Hop (A) in 2018. Miss Han is an extremely talented dancer and has always been keen to help out at Miss Zoe’s whenever needed. 2015 saw her receive the Miss Zoe’s School of Dance Student of the Year – very well deserved! 2019 will see Miss Han taking on classes herself - she will be teaching Junior Jazz and Junior Hip Hop along with Intermediate Hip Hop (B). Miss Bon has been dancing at Miss Zoe’s since 2007 & has experience in ballet, pointe, jazz, hip hop, & contemporary. Miss Bonnie is a very hard worker and strives to be the best dancer she can be. She has been a member of the Costume Club & has volunteered on many occasions to help out. 2017 saw her begin her student teaching with the Monday Preschool Fun Class and Junior Ballet B – the students love her! She continued this in 2018 and started to take on more of a leadership role. In 2019 Miss Bon will be teaching Junior Ballet (B) as well as assisting with Preschool Classes. 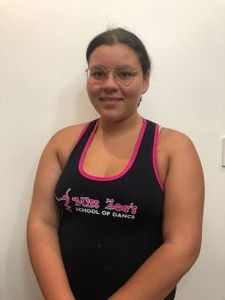 Miss Lucy started dancing at Miss Zoe’s in 2010 and has always been a dedicated and hard working student who has improved drastically over the last couple of years. Miss Lucy has helped out with the younger students for years now and is always on call to lend a hand where necessary. Miss Lucy has experience in ballet, pointe, contemporary, & acrobatics; and in 2017 began her student teaching with the Acrobatics classes. She is also a part of the Costume Club at Miss Zoe’s, attends Wollongong Highschool of the Performing Arts for dance, and is also an accomplished singer. In 2018 Miss Lucy began teaching a singing class which she will continue in 2019! Miss Nicole came to Miss Zoe's in 2017 with over 15 years of dance experience. She won Most Dedicated in Senior Ballet in 2017 and Most Dedicated in Senior Contemporary in 2018. Trained in jazz, ballet, pointe, contemporary, hip hop and musical theatre, Miss Nicole's favourite style to teach is jazz though her favourite to perform is contemporary. Miss Nicole likes to see her students growing in ability and confidence, and also having fun! She has been teaching for many years and loves passing on her long-standing passion for dance. After teaching casually at Miss Zoe’s in 2018 she is joining the team in 2019 to teach private lessons, Senior Move N Groove, and Intermediate Hip Hop (B), as well as filling in wherever needed. It is a family affair with Miss Nicole’s two young children also taking classes at Miss Zoe’s – Miss Zoe is thrilled to have her on board! Miss Kayla first found her love of singing and music at Miss Zoe's back in 2011. Finding such a caring and nurturing place to grow and have fun with singing helped pave her way to what she is doing today. Miss Kayla having just left school last year is now focusing on performing around the Illawarra and beyond. She was so excited last year to achieve so many goals she had set. One being winning the Shoalhaven Entertainment Centre Unearthed competition which gave her the chance to play at Shoalhaven River Festival. She has just recorded her second single and will be releasing it this year along with working on her first album. Another highlight of last year was the opportunity to sing on local and Sydney radio stations and also singing at a Dragons home game at Win Stadium. Her love and knowledge of singing has made her want to share that joy with others. After teaching at Miss Zoe’s last year she is looking forward to another exciting year in 2019. You are never too old or young to enjoy the gift that is singing. Miss Laura (Wollongong/Coledale Studios) began dancing at Miss Zoe’s in 2012 and she has experience in ballet, pointe, contemporary, and jazz. Miss Laura is a quiet achiever – always trying her hardest in class and steadily improving. Miss Laura has gained in confidence over the last couple of years and turned into a graceful soloist with many evident skills – she is always practising! Miss Laura began her student teaching with the Saturday Preschool Fun Class in 2018. In 2019 she will be continuing to assist with classes at Wollongong along with classes at our new Coledale Studio. Miss Mica (Kiama Studio) has been dancing every year of her life since the age of 3 and joined Miss Zoe’s in 2018. Mica has experience in ballet, contemporary, jazz, hip hop, musical theatre and tap. Mica loves performing and has danced in many concerts and eisteddfods and is passionate about sharing her love of dance with others. Mica loves helping others to improve their dancing and displays a natural affinity towards younger students, she is always happy, friendly, patient and kind and keen to assist. Miss Milly (Wollongong Studio) has been at miss Zoe’s since 2007. She has experience in ballet, jazz, hip hop and pointe. She is always trying her hardest to improve in class and be the best dancer she can. In 2017 Milly became part of costume club and has helped by making tutus for our ballet class. Miss Milly is kind and a very dedicated dancer and loves to share her passion for dancing with others. Miss Amelia (Wollongong Studio) has been dancing at Miss Zoe’s since 2007 and has been an extremely committed member ever since! Miss Amelia is an absolute joy to have in class – she works hard every lesson & always helps other students. Miss Amelia has experience in ballet and hip hop – the two extremes! Her quiet confidence & kindness is what prompted Miss Zoe to ask her to student teach with Junior Hip Hop/Jazz (B) in 2017 and beyond. (Wollongong Studio) has been dancing at Miss Zoe’s since 2010 and during that time has won numerous awards. She has experience in jazz, contemporary, ballet, and pointe and is also a keen gymnast. 2018 saw her become a part of Miss Zoe’s Costume Club and helping out around the studios where needed. Sasha is passionate about dance and is excited to be a student teacher this year. 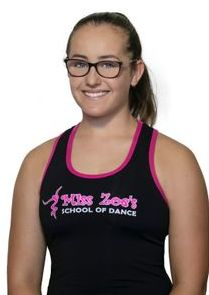 Miss Issy (Wollongong Studio) has been dancing at Miss Zoe’s since 2011. She has experience in ballet, jazz, broadway jazz, contemporary, acrobatics and solo performances. Miss Issy loves all the opportunities to perform including fetes, flash mobs and concerts. She works hard in her own lessons, always striving to do her personal best and was awarded the Most Improved student award in 2018. Miss Issy is looking forward to helping out other students now as she starts 2019 as a student teacher.